Here’s a shout out to a fellow Plushteamer, friend, and a real Plush Maven – Felicia of FluffyFlowers fame! She is the proud owner of one of my mini maggots, and as her creativity knows no bounds, she has concocted a heartwarming little story about him! 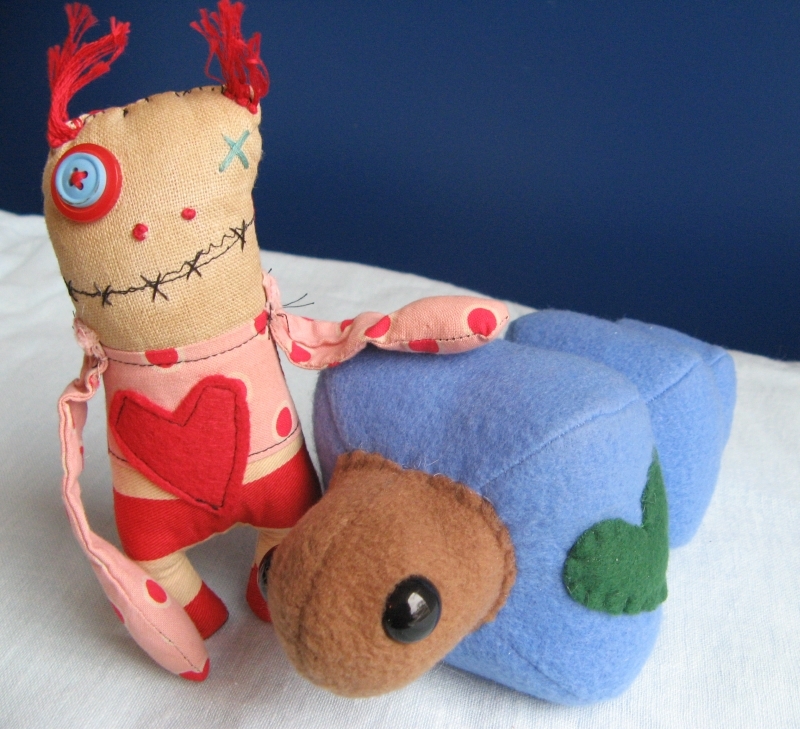 The super-crrepy-and-amazingly-awesome monster plush is from JunkerJane. I know things have been quiet over here at PterodactylPants lately. Bear with me, I can feel a real plush explosion coming soon. Very sweet photos at Fluffy Flowers, they really seem to be gazing into each other’s eyes! Happy Valentine’s Day. That little creepy valentines day doll is awesome. Kind of Tim Burton!